2015 Oktoberfest in El Cajon | Authentic & Traditional Oktoberfest, Family-Friendly, German Music, Food, Beer, Folk Dancing, Kids’ Zone, & More! The German American Societies of San Diego present Oktoberfest in El Cajon the next two weekends! 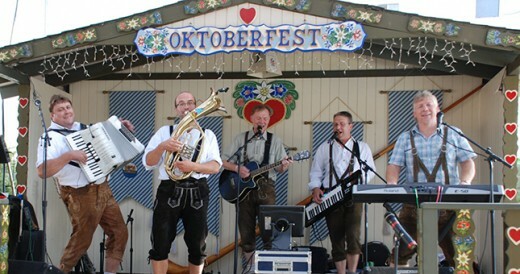 Authentic & traditional Oktoberfest that’s fun for all ages with German music, folk dancing, food, costumes, a Kids’ Zone, arts & crafts, & so much more! More info below. This entry was posted in All Ages, Art, El Cajon, Events, Family Friendly, Festivals, Food & Drink, Music and tagged 2015 el cajon october events, 2015 el cajon oktoberfest, 2015 la mesa october events, 2015 la mesa oktoberfest, 2015 oktoberfest in el cajon, 2015 san diego october events, 2015 san diego oktoberfest, 2015 san diego ticket giveaways, el cajon events, el cajon october events, el cajon oktoberfest, free san diego all ages events, free san diego events, free san diego family friendly events, free san diego festivals, free tickets san diego, la mesa october events, la mesa oktoberfest, oktoberfest in el cajon, san diego all ages events, san diego beer events, San Diego Beer Festivals, san diego events, san diego family friendly events, san diego halloween, san diego halloween events, san diego halloween parties, san diego october events, san diego oktoberfest.